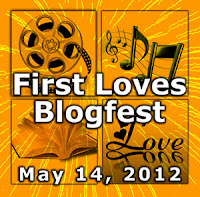 I'm happy to join Alex Cavanaugh's Four First Loves Blogfest today. We'll be talking about our first love in movie, song/band, book and person. It sounded easy when I registered with this challenge but coming to write about it, I find that my memory is failing me. But after a bit of digging around in my memory bank, I've selected the following to share with you. I don't think I've seen this movie but the romantic voice of the singer and the simplicity of the lyrics have made a lasting impression in my mind. "What seems like an interlude now could be the beginning of love..." Life is short and we should treasure every moment together with our loved ones. This movie explains why I love time travel stories so much. There are so many possibilities if time travel is feasible in life. This is a very romantic movie and both Christopher Reeve and Jane Seymour were wonderful in it. I think you won't be surprised that Pride and Prejudice was my first love. This is the first book I bought using money I earned from my first summer job. I heard a radio drama of it when I was younger but it ended in the middle of the story, with Mr. Darcy and Elizabeth Bennet tore apart with the news of elopement of Elizabeth's sister. I often wondered why the story felt unfinished and I was happy to find the book in a library, giving a very happy and satisfying ending. I loved it so much that when I earned some money from my first summer job, I bought my first copy of it. Since then, I've bought several different editions and it remains my favourite book. Why? The constancy of love is most appealing to me. What are your first loves? I'll beam Mr Darcy to you, Angeline. LOL. Impressive - you've loved very high quality people and things. Thanks for visiting. I'm glad to discover your blog and loves. Oh! I LOVE Somewhere in Time. That's one of those movies I can watch over and over again. Great post of firsts! Great loves and what a wonderful memory! Oh man, I LOVED Somewhere in Time. So romantic. It was the first ever time travel story I'd ever seen before. I fell in love with time travel stories shortly thereafter. And Pride & Prejudice is one of my all time faves. I only read it like 4 years ago, but it is timeless! that movie was so sad... i want my penny back. it was a penny right? 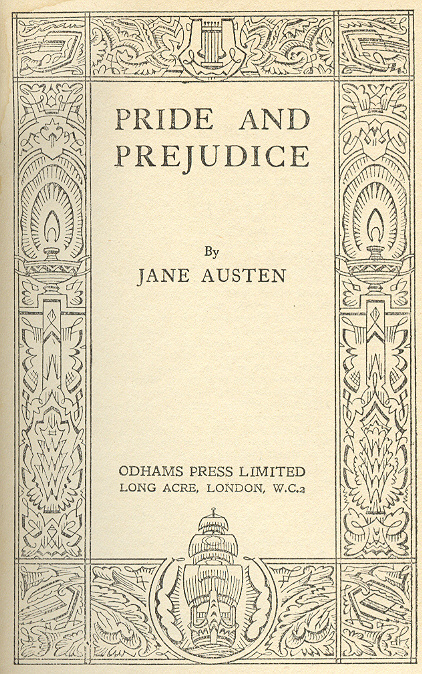 Pride and Prejudice was my favourite book when I was little. My grandma Alice read it to me when I was about 8 years old, I loved Elizabeth's character. 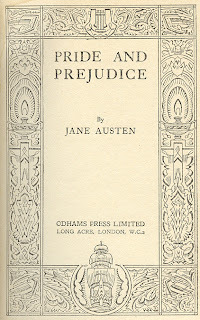 When I was about 11 mum and I would read it together as it was a project at school which I had to explain what had happened and why I thought that Elizabeth had taken such a dislike to Mr Darcy and why she turned to Wickham. I got an A* for my work. Later when in my last year at school I read the book again and fell in love with the character of Darcy as I could see like myself at the time he was in away shy. I have never seen Somewhere in time but the music I have just listened to was so romantic it should have been used as a song in the film. Thank you Lynne, Danielle, Nancy, Robyn, Tracy and Jeremy. It's a good blogfest, talk about what we love. It's been almost 30 years since I watched Somewhere in Time. I remember it was really sad. Did you buy the food from yourself? That's the real question. Thanks for participating in my blogfest, Enid! Yes, Diane, a sad but great romance. Alex, yes, I did buy the food from myself. Absolutely silly but who cares? Family is, without a doubt, the firsts we love! That does sound like a great movie! :) And I think it's cute that you played shopkeeper with your dad. Thanks Juliana and Krisa, Alex comes up with a great blogfest. It got us to remember some of our best memories. Great to hear about that, Cassie. So you're a cry baby too, Shiela, when you watch sad movies? Good to know about that, Shannon. Thanks for Rachel and you for dropping by. Cute story about playing "shop" :) I think I went through this as well. Enjoyed you post - thank you.